Lock in a great price for Guest Inn Chita – rated 9 by recent guests! From our room we had a view of the temple across the street. Room was lovely and spacious, comfortable futons. Our host was extremely helpful, speaking perfect English. She went above and beyond and made us a dinner reservation at nearby Pettirosso (delicious) and kimono rental reservations. Having the kitchen made breakfast on-site a breeze, we just picked up bread, butter, and eggs from the nearby market. We enjoyed meeting other travelers in the common area. Nishikii Market and Pontocho are both relatively nearby and definitely should be visited. I like the room decoration.It really resemble unic japanese traditional house.The experience is really enjoyable..
Like the place a lot, very convenience to subway station, and eating places is close by. 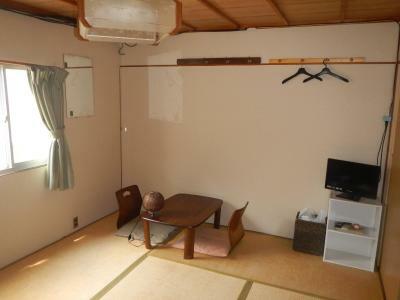 The location was close to the station and very affordable. The owner was incredibly helpful and kind. Sharing the bathroom never proved challenging. We really enjoyed the AC. Rooms were also more spacious than other hotel rooms. 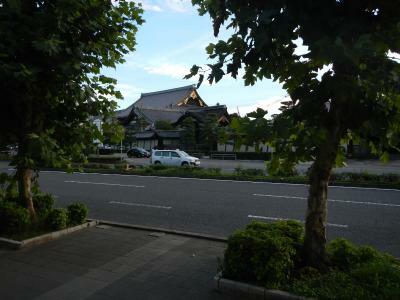 location is walkable from kyoto station, near a temple. 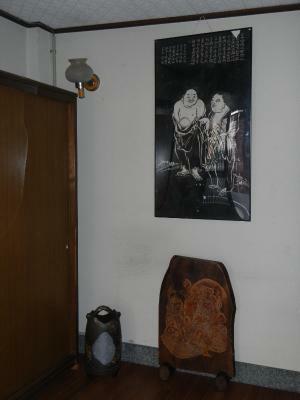 the room is big, we have table and traditional seats in the room. the traditional bed is amazing. 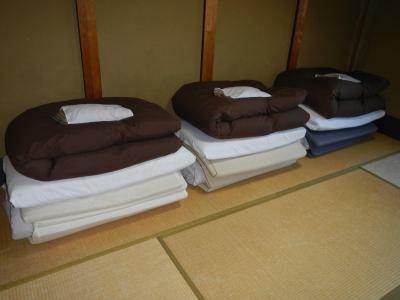 it is not soft but somehow it is comfortable to sleep at. and the owner is very kind, we love her. she is very attentive and helpful. Location! Location! Location! We were walking distance to bus stops, metro and Shinkansen station and surrounded by restaurants, bike rentals, temples and unique stores. 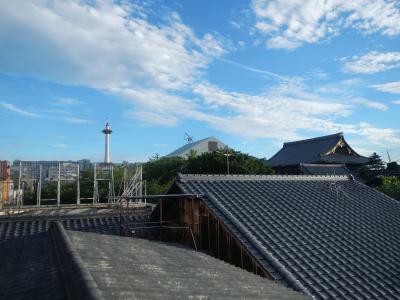 It's a short distance to Gion ( the party district) and many other tourist spots. The futons here were extremely comfortable and the showers clean. The walls are thin and you will hear noise but we were too tired to notice any of it. Very big triple room! Great facilities and great staff. Really good location. Near Kyoto station. The owner speaks English and very accommodating. Guest Inn Chita This rating is a reflection of how the property compares to the industry standard when it comes to price, facilities and services available. It's based on a self-evaluation by the property. Use this rating to help choose your stay! One of our best sellers in Kyoto! 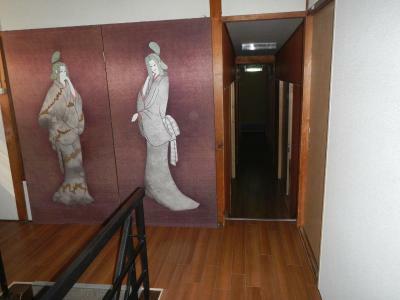 Guest Inn Chita is a 5-minute walk from Higashi Hongan-ji Temple and Gojo subway station. 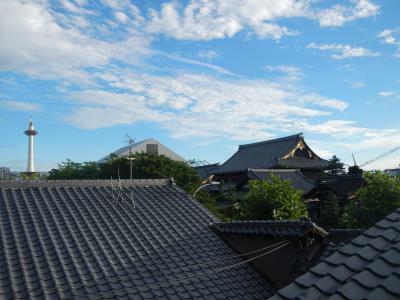 Featuring a rooftop barbecue area, it offers Japanese-style accommodations with free Wi-Fi. 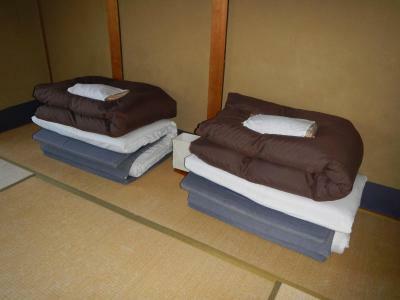 Guest rooms feature tatami floors with traditional futon beds. 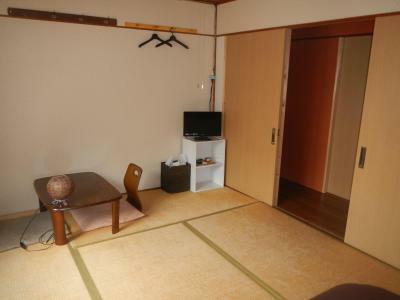 Offering both air-conditioning and heating facilities, each room is equipped with a tea set, a Yukata (Japanese bathrobe) and a TV. 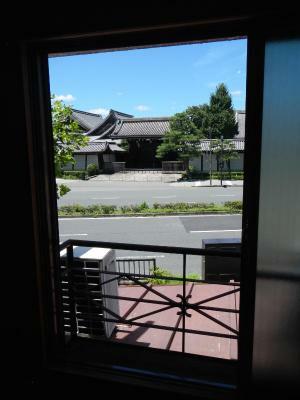 Guests can rent a bike for the day and enjoy carefree exploration of Japan’s cultural capital. 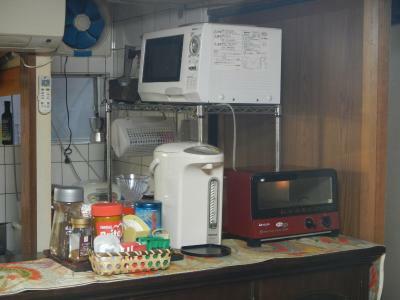 The inn also has a communal area with a refrigerator, flat-screen TV and coin-operated laundry machines. 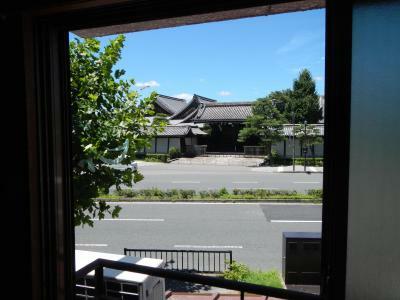 Chita Guest Inn is a 10-minute walk from JR Kyoto Train Station and a 5-minute walk from Shosei-en Garden. 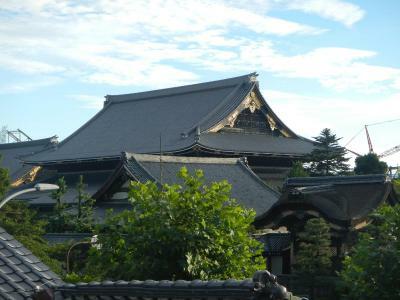 Sanjusangen-do Temple is a 20-minute walk from the hotel. 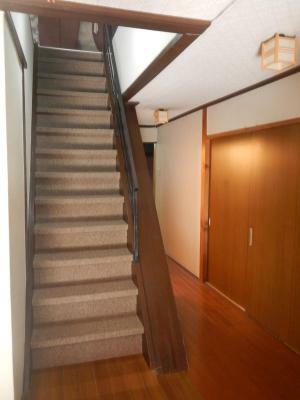 뀐 Located in the real heart of Kyoto, this property has an excellent location score of 9.2! When would you like to stay at Guest Inn Chita? 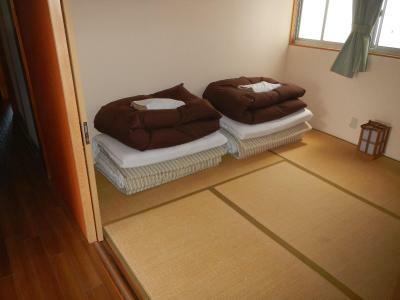 Features tatami flooring with traditional futon bedding. 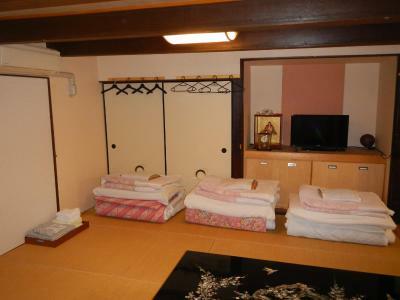 This air-conditioned room offers a TV set, a tea set, and a Yukata (Japanese bathrobe). Area Info – This neighborhood is a great choice for travelers interested in temples, sightseeing and history – Check location Excellent location – show map Guests loved walking around the neighborhood! House Rules Guest Inn Chita takes special requests – add in the next step! 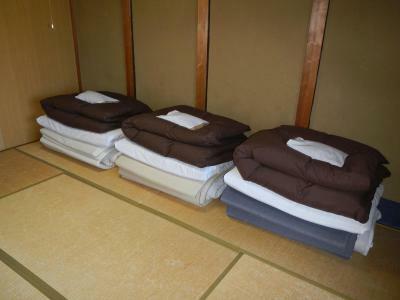 One child from 6 to 12 years is charged JPY 500 per person per night when using existing beds. Guests planning to check in between 10 p.m. and midnight must inform the hotel in advance. Check-in is not possible after midnight. Guests staying at the hotel must inform the front desk if they will return later than 10 p.m.
Payment must be made in cash. Credit cards are not accepted. Walls are thin and shared bathroom means you sometimes wait for the shower. But overall not a problem if you can be a bit flexible. Some rooms do not appear to have windows, which I would try to avoid, if possible. its sharing house, surrounded by the unknown guest when they also hang around at dining area its making us little bit uncormfortable . 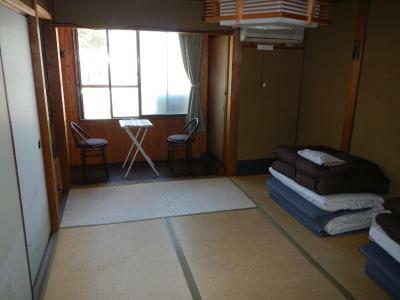 But its worth stay for those looking for traditional japanese living style and. The bathroom not separated between female and male guest. Since we are muslim girl we had to used it at early in the morning and late of night otherwise it can make us uncormfortable if encounter with the male guest. The room okay but stairs to the room a bit narrow. 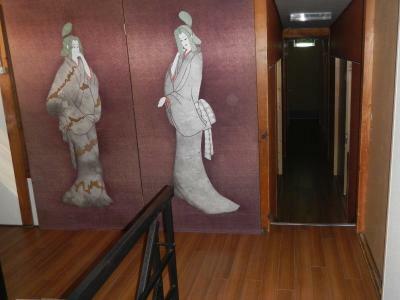 Memorable stay in ryokan house (japanese traditional stay). 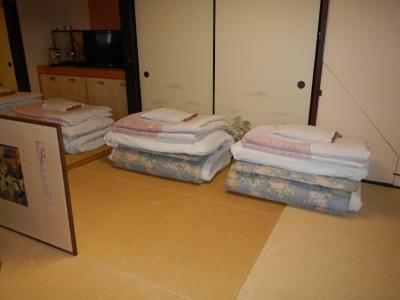 The room floor cover with tatami. 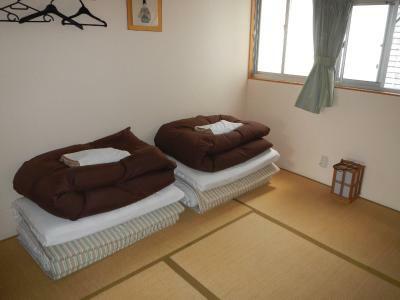 Cormfortable futon and host provide Towel,yukata and basic amenities in the room such as tv. Host super nice and can talk fluent english. Toilet is quite far from my room.Thats all. I thought laundry service is free but there's a charge, but it is still quite an affordable price. 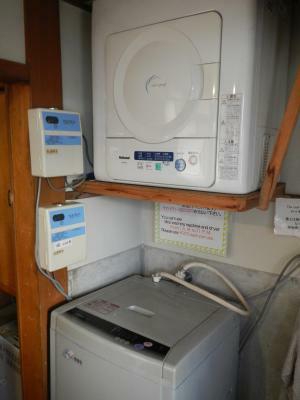 The owner also very helpful to teach me how to use the washing machine and dryer. The owner is extremely friendly and helpful, speaks good English. Room is spacious and clean. Free to use the kitchen and coffee. And very near to Kyoto station. There's not much noise though the wall is thin. 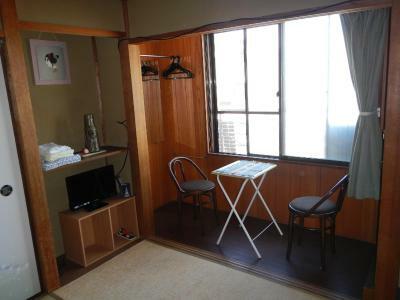 It's in a excellent spot, close to Kyoto station, and Higashihonganji Temple, very accommodating and great staff, if I knew about this place earlier I would have book my entire stay here. 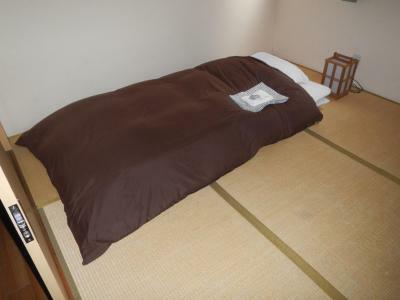 Linen and bed, pillow was thick, room is more spacious than expected for 2 persons. The rooms a poorly soundproofed, but everyone in the guesthouse was quiet in the nighttime, so this was not a problem. The host is very friendly and helpfull. 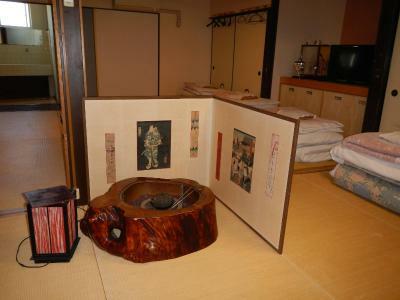 It's a nice japanese Ryokan to experience a bit of traditional feeling. The location is perfect, not far away from the train station and some beautiful temples are right next to it. 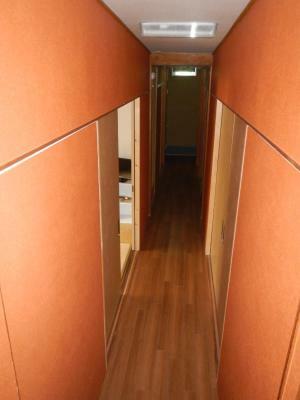 It is good to know on that all guest rooms are on the second floor and other facilities on the first floor. It worked perfect for me but might not work for all. 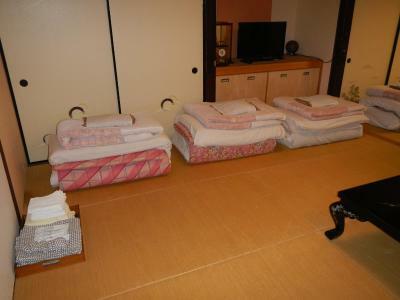 The lady who manages this ryokan speaks very good english and is so kind and helpful. 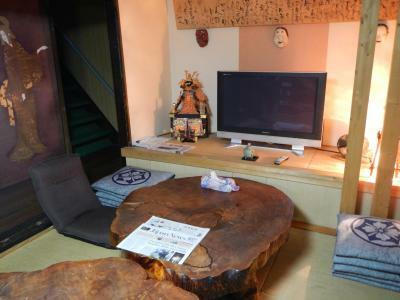 This is the place I want to stay if I come back to Kyoto! 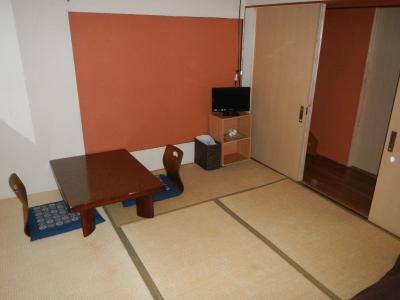 In walking distance from the station and quite close to Gojo metro station. Excellent location, helpful and friendly staff, kitchen a great bonus. I stayed for 7 days and I would recommend it as a great place for exploring Kyoto and also for day trips further afield. I’ve read comments about noise but this wasn’t a problem. Thank you! 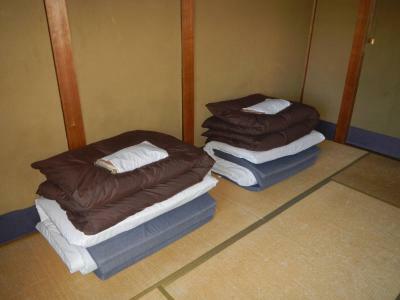 The rice pillows were a nice idea but not comfortable. The bathrooms were all downstairs and our room was upstairs.